New York City Bagel & Coffee House is opening their third location in the old Bargain Stop space on 30th Avenue. Back in spring of 2013 a little upstart bagel spot opened on 23rd Avenue verbosely named “New York City Bagel & Coffee House.” It took the place of an old produce market, and completely changed that side of the block on 23rd Avenue. The place is often mobbed, especially on weekends, with lines sometimes snaking out the door. And this was with their efficient ordering system. They later expanded to another shop on Broadway, just up the street from The Queens Kickshaw. And now they are expanding to a third location—on 30th Ave in the old Bargain Stop space (33-10 30th Ave), which closed in early 2017. If the appearance of the second NYC Bagel & Coffee House is any indication of what will happen in the third iteration of this business, the decor and design will be just like the original. The first time I walked by the Broadway location I had to do a double take since it looked virtually identical to the original. We’ve heard they will offer the same menu as the other locations—bagels, homemade schmears, baked good, cold drinks, and of course, coffee (I’m a big fan of their cold brew). We also saw that they are hoping to serve craft beer, but they have not obtained their liquor license and they do not appear on the schedule for January, so it will be a little time before that’s up and running—which makes sense since they project a summer opening. No doubt this news location of NYC Bagel & Coffee House will be serious competition for Bagels on the Ave, just across and up the street from them. NYCBCH for the entirety of WHA’s Best of Astoria has always made it into the finals of the competition. We think it’s a combination of a solid selection of bagels (in multiple sizes), a wide variety of schmears, a comfortable space, efficient ordering system, good coffee, and friendly staff. 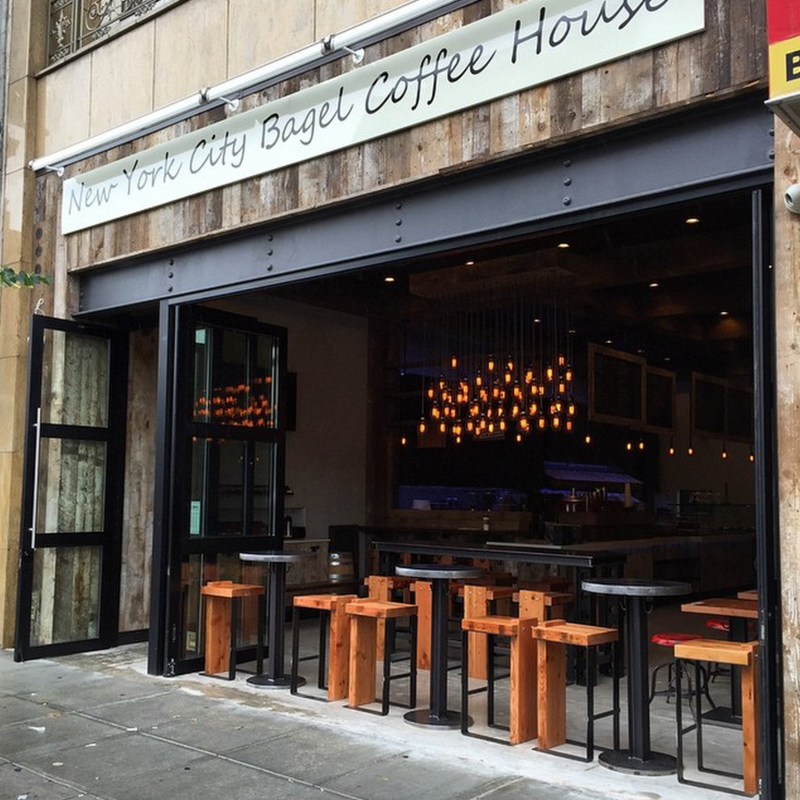 We look forward to checking out the new NYC Bagel & Coffee House when they open! P.S. The current locations are now serving what looks like a pretty good bowl of mac & cheese. As far as i’m concerned they can open on every corner of Astoria ! Glad to hear this, as they are one of the only places in Astoria to serve gluten-free bagels! This is just silly. We have Bagels on the Ave across the street, Bagelberry one block west and Brooklyn Bagel (the best!) 3 blocks east. I’m dying for a deli or sandwich shop but nope, more bagels!